BLOOD BOND: Jenny, a street dog injured after being hit by a car, received a blood transfusion from a fellow canine that helped save its life. Dogs at Sneha Care animal shelter regularly donate blood, which is used to help other dogs in need. 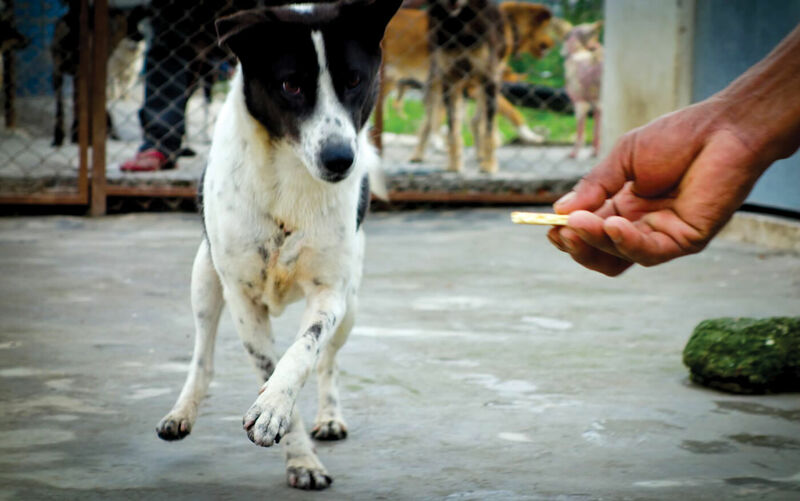 Sneha Shrestha and four rescued dogs at her Sneha Care shelter are saving abandoned canines — one blood transfusion at a time. For four years dogs at the shelter have been providing blood for dog surgeries and transfusions, and have saved many lives while helping vets across Kathmandu when they are in need of blood donation. 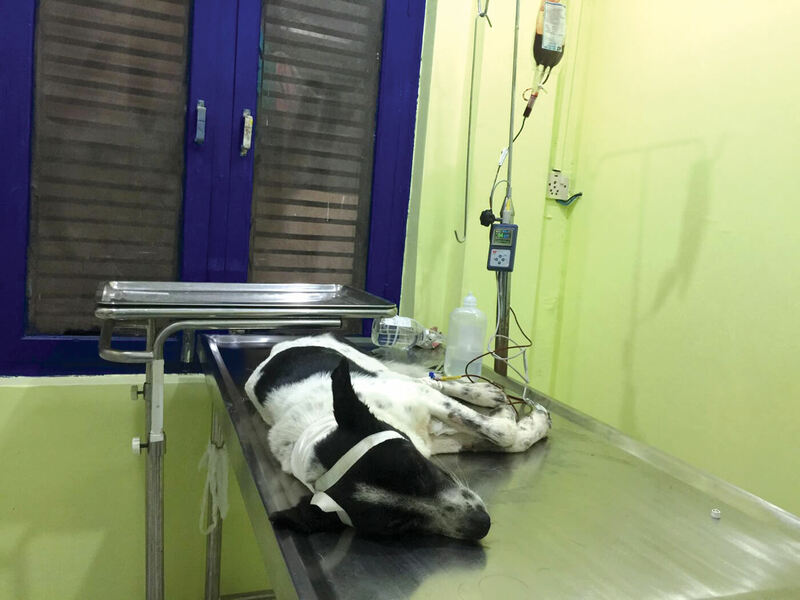 Shrestha brought her Jenny who donated the first pint of blood to the needy dog at the surgeon’s table, and that made her realise that her dogs could help save other dogs. Four years later, Shrestha is proud of her dogs whose loyalty goes beyond being man’s best friend to also serving as dog’s best friend. 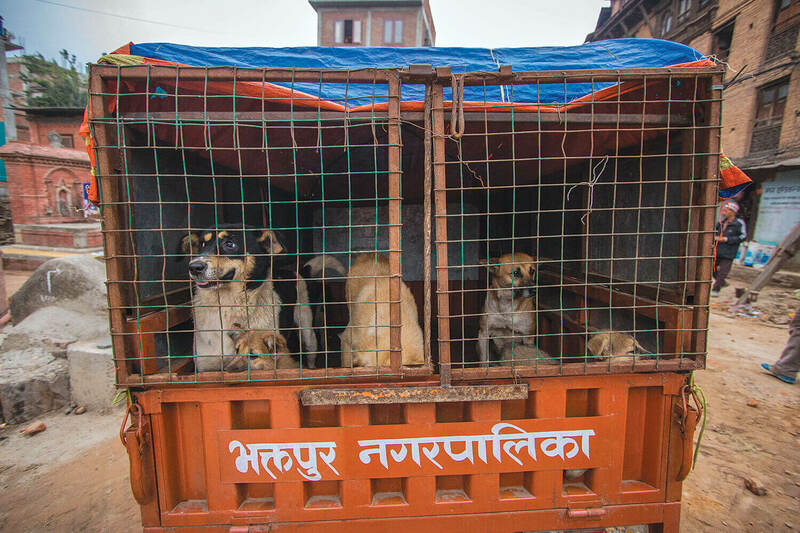 “I take the dogs to a private clinic every three months for the donations because I don’t have the correct equipment at my shelter, it is expensive but the dogs are worth it, one day I aim to have all of the equipment,” Shrestha told Nepali Times. Veterinarian Sushil Kumar Paudel at the Animal Medical Centre says he is very grateful for Sneha Shrestha’s dogs and their blood because it can be hard to find appropriate canine donors. “There is a criteria that a dog must meet in order to donate blood,” Paudel explains, “they should be between 1-7 years of age, in healthy condition, disease free and preferably weigh more than 20kg.” This last requirement can sometimes be overlooked if the transfusion required is small: only a 350ml bag instead of 450ml. “It’s also difficult sometimes to convince dog owners to do the donation procedure, it’s completely safe but some owners still worry,” he adds. Just as with human donors, after the dogs donate blood the clinic provides them with iron supplements and vitamins to ensure a speedy recovery of blood cells. There are no sedatives used during the donation procedure unless the dogs are particularly aggressive. 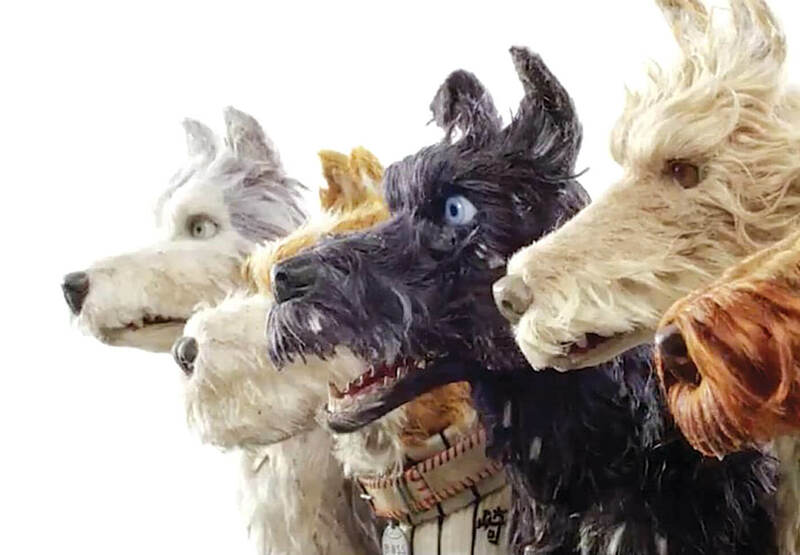 Most of the time the dogs cooperate and are happy to be held in place, and sedatives are discouraged because they affect the quality of the blood. Blood transfusions are a novelty among dogs and are not used very frequently due to time and money limitations, as most owners prefer to treat their dogs with medicine rather than an expensive blood transfusion. 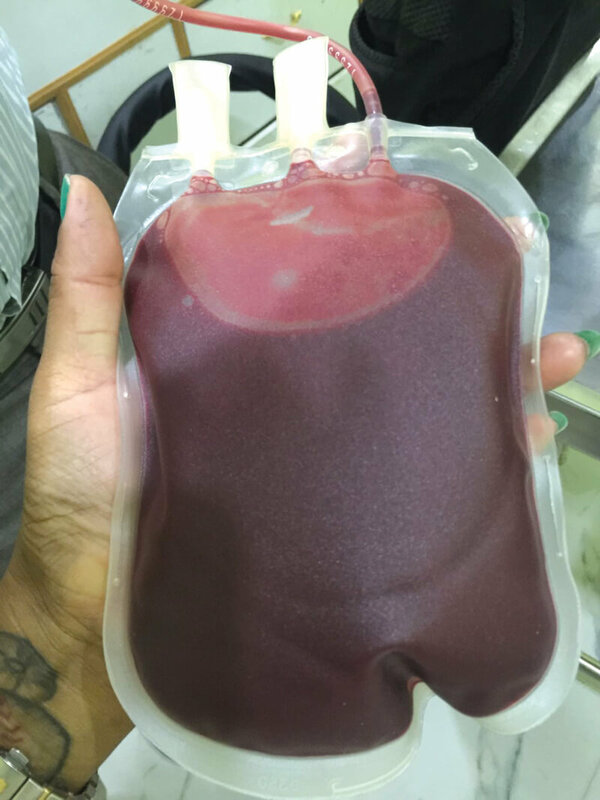 “There are incidents when a blood transfusion is unavoidable: with internal bleeding or long surgeries where the blood loss is high. 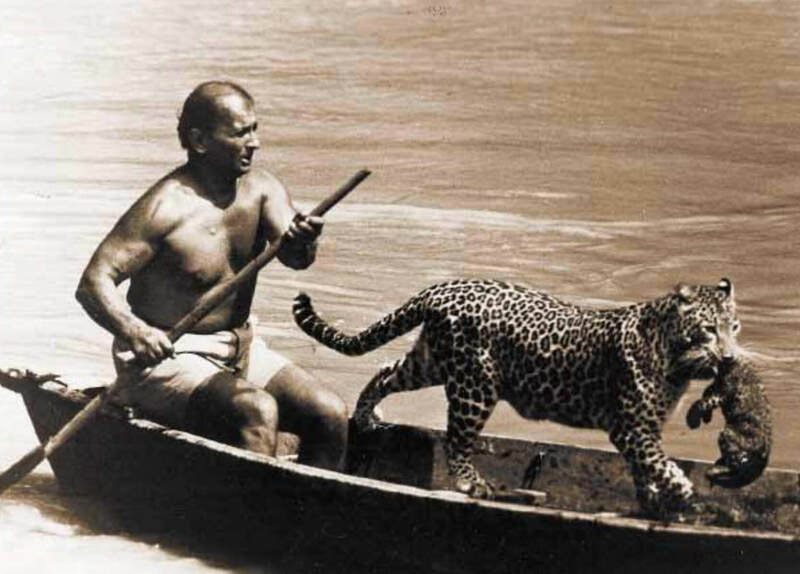 But if the procedure is minor we often find alternatives to blood transfusion,” Paudel adds. On average the Animal Medical Centre performs approximately two or three blood transfusions per month. One of the dog blood donors, a handsome German Shepherd named Jack has been adopted and flew off to Canada this week. Cats may also be able to donate blood in the future, but currently their population in Kathmandu is small and their general health would need to improve before they can be donors, like their canine colleagues.